Not to be confused with magnesium, manganese is a trace mineral used by some people to help prevent bone loss and alleviate the bothersome symptoms associated with premenstrual syndrome (PMS). It may have a number of other beneficial effects as well. While most of the body’s mineral content is composed of such macrominerals as calcium, magnesium, and potassium, certain trace minerals are also considered essential in very tiny amounts to maintain health and ensure proper functioning of the body. They usually act as coenzymes, working as a team with proteins to facilitate important chemical reactions. Even without taking manganese supplements, people with an average diet consume somewhere between 2 and 3 mg of the mineral through food and drink. While most authorities agree that manganese is a vital micronutrient, it is not known for certain if taking extra amounts can be helpful in treating osteoporosis, menstrual symptoms, or other problems. 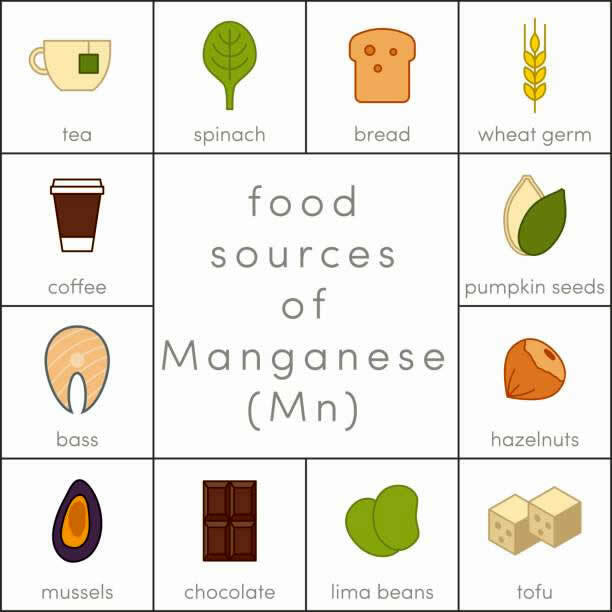 Manganese, which is concentrated mainly in the liver, skeleton, pancreas, and brain, is considered important because it is used to make several key enzymes in the body and activates others. For example, one of the enzymes made from manganese is called superoxide dismutase (SOD), an antioxidant facilitator. Antioxidants help to protect cells from damage caused by free radicals, the destructive fragments of oxygen produced as a byproduct during normal metabolic processes. As these rogue particles travel through the body, they cause damage to cells and genes by stealing electrons from other molecules—a process referred to as oxidation. Manganese may also have some anticancer activity as well as a number of other important functions. It is believed to play a role in cholesterol and carbohydrate metabolism, thyroid function, blood sugar control, and the formation of bone, cartilage, and skin. While the effects of a manganese-free diet have not been thoroughly studied in people, animal experiments suggest that a lack of manganese can be unhealthy. Manganese deficiency in animals appears to have an adverse effect on the growth of bone and cartilage, brain function, blood sugar control, and reproduction. One recent study of dietary supplementation with manganese and other micronutrients in Mexican infants found that children who received the supplements grew faster and taller than a control group given a placebo. The authors concluded that growth retardation in children in developing countries is linked to manganese and other micronutrient deficiencies in the diet, among other factors. While considered necessary for general good health, manganese is also used for specific health concerns. Because of its role in maintaining strong bones, the mineral in combination with other trace minerals has been suggested as a possible treatment for osteoporosis. Manganese may also help to ease symptoms associated with menstrual periods and PMS. Getting adequate amounts of manganese may also be important for people with other diseases and health problems, from epilepsy and diabetes to rheumatoid arthritis, though this research is considered quite speculative. The link between manganese and bone strength was examined in a double-blind, placebo-controlled trial published in the Journal of Nutrition in 1994, which studied the effects of minerals on preventing bone loss in 59 post-menopausal women in good health. The women were divided into several groups. Some of them received placebos, while others received calcium alone, trace minerals, or a combination of calcium and trace minerals. The trace minerals included manganese (5 mg a day), zinc (15 mg a day), and copper (2.5 mg a day). The study, which was conducted over a period of two years, found that calcium plus trace minerals was most effective in preventing bone loss in the spine. It was even more effective than calcium alone. This study shows the importance of taking calcium with these trace minerals in order to keep bones strong. 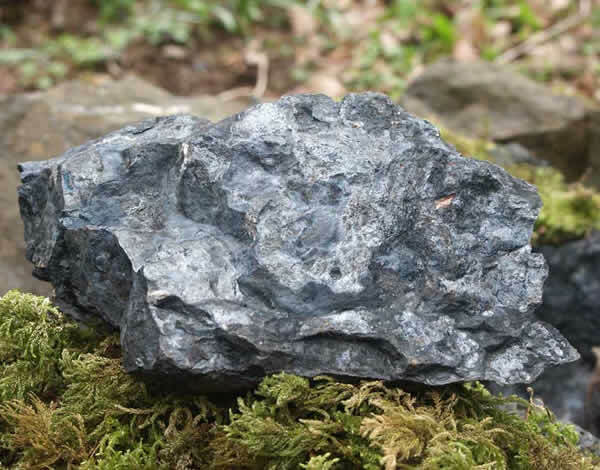 Since manganese was studied in combination with other minerals, it is difficult to determine how big a factor it was in the study, or whether it must be taken with other minerals to produce benefits. A small, double-blind study reported in the American Journal of Obstetrics and Gynecology in 1993 suggests that manganese and calcium may be a potent team in alleviating menstrual symptoms and PMS. Researchers from the Grand Forks Human Nutrition Research Center, which is affiliated with the U. S. Department of Agriculture, examined how calcium and manganese affect menstrual symptoms in women in good health. Ten women with normal menstrual cycles were studied for about 170 days. The women received 587 or 1,336 mg of calcium a day with 1.0 or 5.6 mg a day of manganese. They filled out a Menstrual Distress Questionnaire during each cycle and the results were analyzed. Getting more calcium improved mood, concentration, and behavior, and also reduced menstrual pain and the water retention associated with the premenstrual phase. The role of manganese appeared to be important. Despite getting higher amounts of calcium, women who received lower amounts of manganese experienced more moodiness and pain prior to their periods. This study suggests that getting adequate amounts of calcium and manganese can help to reduce the pain and other symptoms associated with menstrual periods. Manganese may also be important for people with other diseases. Those with epilepsy, diabetes, and Perthes’ disease tend to have low levels of the mineral, which has led to suggestions that manganese may help to prevent or treat these disorders. While sufficient research has not been conducted in humans to prove or discredit this theory, a handful of animal studies indicate that manganese may play a role in controlling seizures and blood sugar levels. Manganese may also decrease the risk of colon cancer by raising levels of the SOD enzyme, which has antioxidant effects. Some people take manganese to help treat muscle strains or sprains, as well as rheumatoid arthritis, though there is no convincing scientific evidence to support these uses. Theoretically, manganese may act as an anti-inflammatory agent by boosting the activity of SOD. The optimum daily dosage of manganese has not been established with certainty. While there is no RDA or Daily Value (DV) for manganese, the U.S. government has established what is called an Estimated Safe and Adequate Dietary Intake (ESADDI). In adults and children age 11 and over, the ESADDI for manganese is 2–5 mg a day. Adequate intake for younger children varies with age. Daily dosage is 2–3 mg in youngsters aged seven to 10, 1.5–2.0 mg for those who are four to six, and 1.0–1.5 mg in children aged one to three. A pediatrician should be consulted to determine how much manganese is required in infants younger than one year of age. Even without taking supplements, most women get about 2.2 mg a day of manganese through their diets, while men consume about 2.8 mg. Vegetarians and people who consume large amounts of whole-grain foods may get as much as 10–18 mg a day. Some authorities believe it is better for people to avoid manganese supplements altogether and increase their intake of foods known to contain significant amounts of the mineral. Manganese-rich foods and drinks include peanuts, pecans, pineapples and pineapple juice, shredded wheat and raisin bran cereals, and oatmeal. Other good sources include rice, sweet potatoes, spinach, whole wheat bread, and lima, pinto, and navy beans. Meat, poultry, fish, and dairy products are considered poor sources. Getting too much manganese through food and drink is not considered a significant risk because the mineral is present only in small amounts in plants and animals. Some people take as much as 50–200 mg of manganese for several weeks to help treat muscle sprains or strains, but the safety and effectiveness of taking dosages this high are unknown. Manganese is not known to be harmful when taken in recommended dosages. Extremely high intake of the mineral, however, has resulted in cases of idiopathic Parkinson’s disease. Recent studies indicate that high levels of manganese alter the blood-brain barrier, lowering the iron content of blood plasma while allowing the iron content of cerebrospinal fluid to rise. These cases of manganese-induced parkinsonism are usually limited to miners who inadvertently breath manganese-rich dust or people who drink contaminated water from wells. People who eat a manganese-rich diet are not considered at risk for these types of side effects. In fact, most foods high in manganese are believed to contribute to good health. When taken in recommended dosages, manganese is not associated with any bothersome or significant side effects. Manganese interacts with certain drugs and dietary supplements. People who take oral contraceptives or antacids may require higher intake of manganese. More of the mineral may also be needed in people who also take phosphorus, fiber, copper, iron, zinc, magnesium, or calcium.